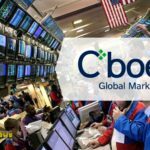 On February 7, a member of the US Securities and Exchange Commission (SEC), Robert Jackson, announced that the agency would approve the Bitcoin exchange-traded funds (ETF) application in the future. In an interview with Congressional Quarterly, Jackson said that SEC had previously rejected applications primarily because companies did not meet the minimum requirements. According to Robert, several applications are now under SEC consideration. He declined to comment on the chances of specific companies for a positive decision, however, he said that the probability of approving Bitcoin ETF is increasing. 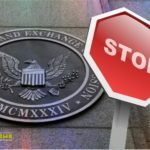 In July 2018, SEC rejected Bats BZX Exchange application, citing the fact that the cryptocurrency fund does not comply with the requirements of the law on securities trading, aimed at countering market manipulations. According to the members of the Commission, the BZX Exchange failed to develop effective methods to combat the Pamp and dump schemes of the BTC rate. The only Commission member voted to approve the Bats BZX Exchange Bitcoin ETF, Hester Pierce. In September, she stated that the SEC was acting too carefully. In her opinion, the Commission does not have the authority to assess the probability of success of cryptocurrency funds. 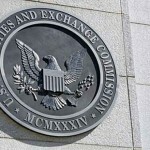 However, the remaining members of the SEC believe that the Commission has the right to reject the application if the company does not comply with legal regulations. What conclusion can we draw from the above? 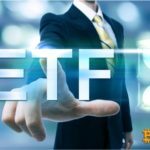 Bitcoin ETF will be open sooner or later. SEC is ready to approve the application from the company, which will be able to prove its legitimacy and guarantee the protection of investors' rights in case of force majeure. © 2018 bit.news | queries 228, for 0.440 sec.